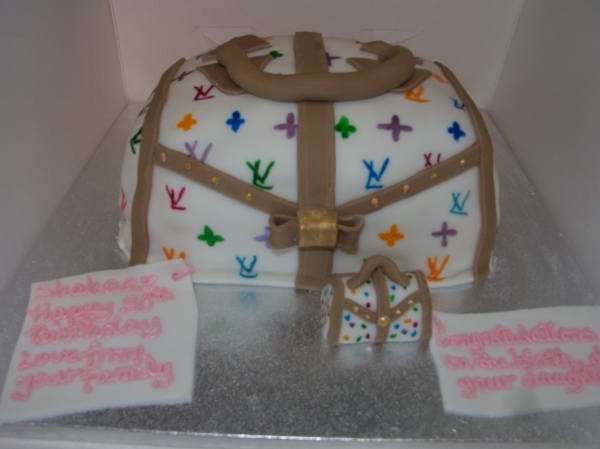 Extremely popular cake designs are shoes & handbags. Chanel handbags, Juicy Couture handbags but most especially Louis Vuitton! Also shoes - women love shoes (I love shoes too!). I fell in love with the idea of lime green Louboutin shoes that I was commissioned to make recently - that's lime green with the red sole. I want a real pair for myself! 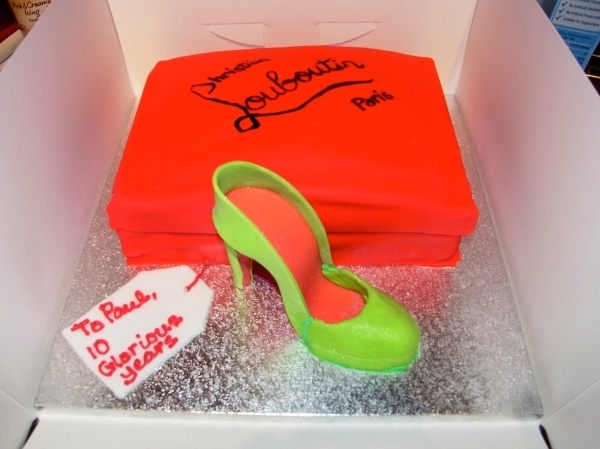 But back to the cakes - Louboutin shoes & a Louis Vuitton handbag, the white one with rainbow coloured logo (with a baby one for her new born daughter). Gorgeous!